As Ranveer Singh's high octane cop drama Simmba gears up for its release on 28 December, his wife Deepika Padukone said that the Rohit Shetty film has success written all over it. During an interaction with PinkVilla at Nickelodeon Kids' Choice Awards 2018, Padukone said that she loved the trailer of the film. "It is signature Rohit Shetty and I’ve had the pleasure of working with him and creating one of my most memorable characters with him. 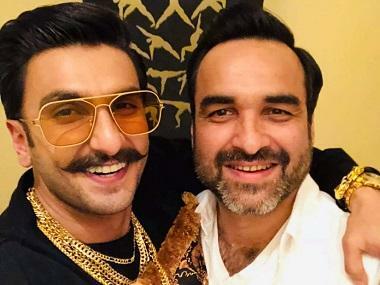 Simmba is on its way to becoming a blockbuster and it has success written all over it." the actress told the publication. Her film Chennai Express, opposite Shah Rukh Khan and helmed by Shetty, was one of her biggest blockbusters. 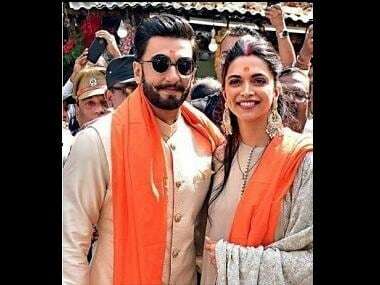 Ranveer and Deepika performed their nuptials on 14 and 15 December in Lake Como, Italy in a private ceremony. This was followed by three wedding receptions, two for family and friends, and another one for industry members. When quizzed about their plans of honeymoon, Padukone said that they had not planned anything at the moment and were waiting for the release of Simmba. Produced by Shetty and Karan Johar's Dharma Productions, Simmba is based on the Telugu film Temper, which starred Jr NTR. The film also stars one-film-old Sara Ali Khan, who made her debut in Bollywood with the disaster drama that released last week, Kedarnath.